When I first started looking for businesses and products that went beyond franchised pet stores, large communal kennels/grooming salons, and packaged treats that were full of nasties, I did what most people would do; I went on Google and searched, and searched, and searched, to no avail. Nothing much came up... because I didn't know what I was looking for. 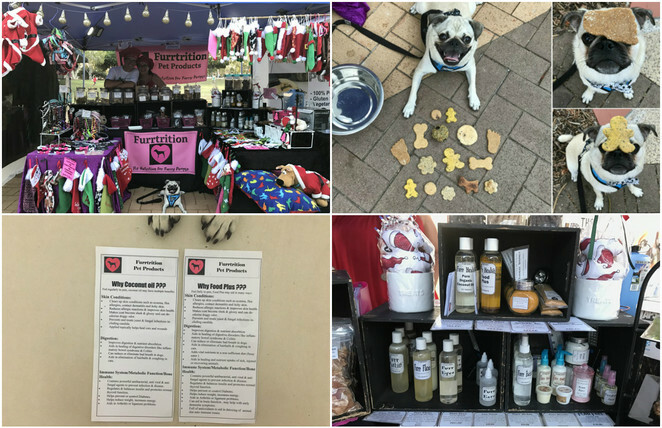 Now, about a year since I first started looking, I've come to realise just how many small doggy businesses there are that are located in Brisbane, as long as you know where to look! The doggy community here is extremely friendly and very welcoming to all; there is no doubt that finding one small business will lead you to another in one way or another. Are you after handmade pet accessories? Natural and healthy dog treats made without preservatives? Doggy daycare outside of communal kennels where your dog is just one of many? Brisbane has got it all! 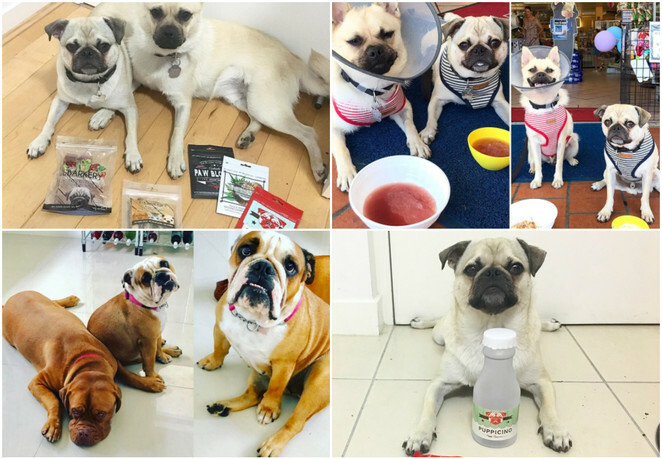 Eddy and Sam have sampled an impressive number of healthy dog treats, visited all the different types of dog friendly places out there, and perhaps most importantly, have met some of the most wonderful friends, people and dogs alike. They've even won a 'Best Dressed' trophy! Disclaimer: This is by no means a comprehensive list of all small doggy businesses in Brisbane, but merely a compilation of ones that Eddy, Sam and I can personally vouch for. 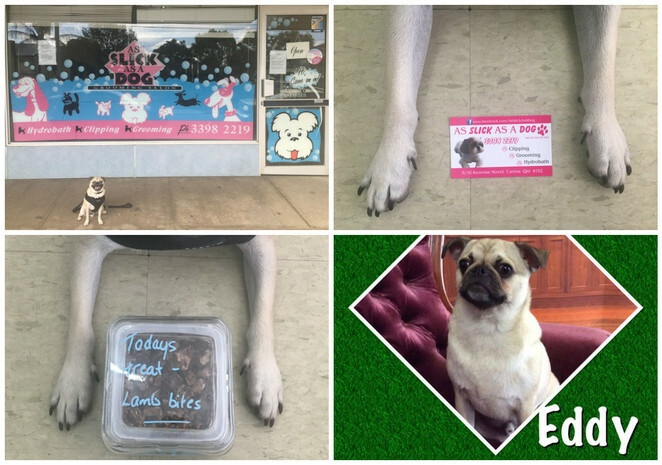 Aloha Hound - Aloha Hound is a holistic dog spa and retreat located in Loganholme. 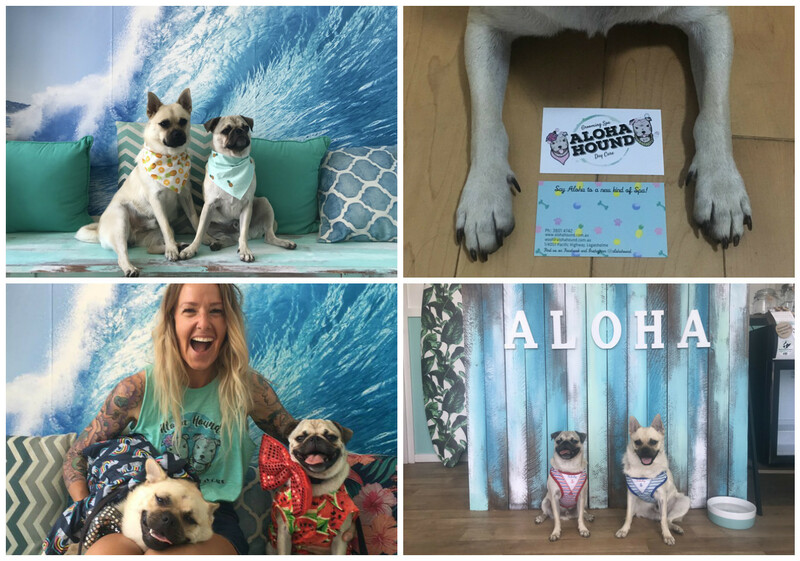 Erin, owner of Aloha Hound, has furnished the salon with a tropical theme; come have a look around and check out their infamous 'waves' photobooth! Oh, and don't forget to bring your pooch along, even if you're not planning on booking them in for a treatment - Erin is the biggest dog lover and will be sure to give them lots of hugs, kisses, and cuddles. Aloha Hound, owned by Erin. As Slick as a Dog Grooming Salon - Located in Carina, As Slick as a Dog is a business "born out of our love of dogs"; dedicated to providing excellent services to all customers. With well-trained grooming professionals staffing the place, Robyn and her team can and will cater for all your pets' grooming requirements, with a guarantee of professional service. Best of all, Backstreet Espresso, a great dog friendly cafe, is located on the same street - it's the perfect place for some bonding time with your pooch before and/or after a trip to the salon! As Slick as a Dog, owned by Robyn. 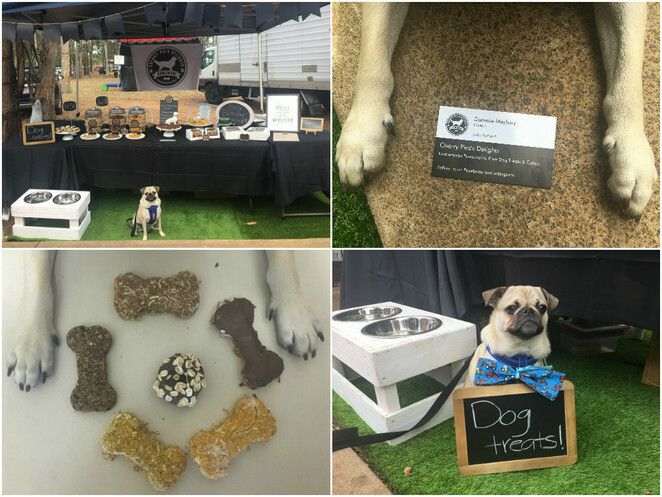 Aussie Dog Treats - Aussie Dog Treats has been operating at Manly Creative Market (held every Sunday from 9am to 3pm) for the past two years. The owner Bob has sourced for his customers 30 varieties of Australian made treats to choose from - seeing as these treats have come from the same source for the past 7 years, they must be of good quality! Bob also manufactures "Bob's Blend", a spray to help dogs freshen up in between baths to get rid of any unwanted doggy odour. Aussie Dog Treats, owned by Bob. 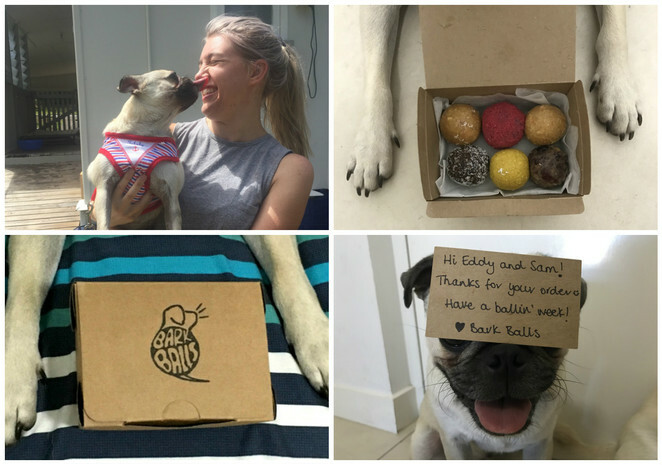 Bark Balls - Bark Balls are plant-powered bliss balls for dogs, made using only fresh and healthy ingredients, with each product carefully hand-rolled into perfectly shaped balls by founder and owner, Jess. Jess, a midwife by day and Bark Ball roller by night, started up Bark Balls after spending some time with a friend's dog that needed some cheering up - Jess wanted something besides the regular dehydrated meat and carob-dipped biscuits for this special guy, in addition to something that reflected her bright personality. And so Bark Balls was born, created using ingredients that Jess already had in her pantry! Bark Balls, owned by Jess. 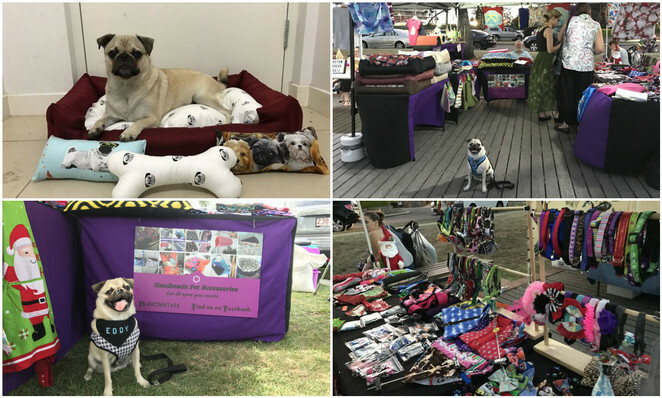 Barkley & Pips - Barkley & Pips was set up in 2016 by Bernie and Lisa, stocking a range of beautiful collars, leashes, harnesses, dog apparel, and much more, sourced both locally and from overseas. Canine CEOs, Barkley and Pippa, are two adorable little dachshunds who also happen to be the faces behind the branding of the logo - follow them on Instagram and Facebook to check out which dog friendly markets they'll be attending near you! Barkley and Pips, owned by Bernie and Lisa. 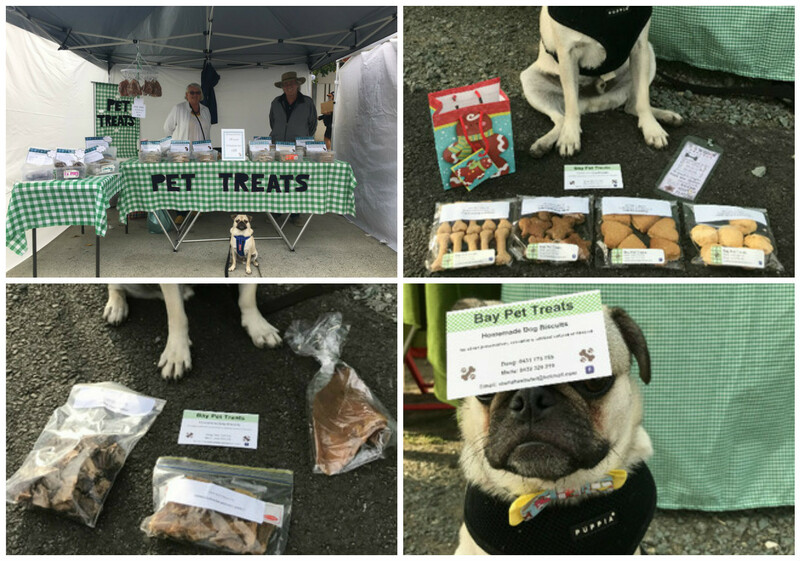 Bay Pet Treats - Run by Maria and Doug, Bay Pet Treats sell homemade dog treats that are free from preservatives, salt, sugar, emulsifiers, and artificial colours and flavours. Maria and Doug are very friendly and are always up for a chat - they're also very generous when it comes to pats and free samples when it comes to your furbabies! Treats are priced very reasonably, and are much cheaper than pet shop counterparts - they cost only $4 per pack, or $10 for 3 packs. Check them out at Redcliffe Jetty Markets on Saturday mornings and Strathpine State School Flea Markets in Sunday mornings. Bay Pet Treats, owned by Maria and Doug. 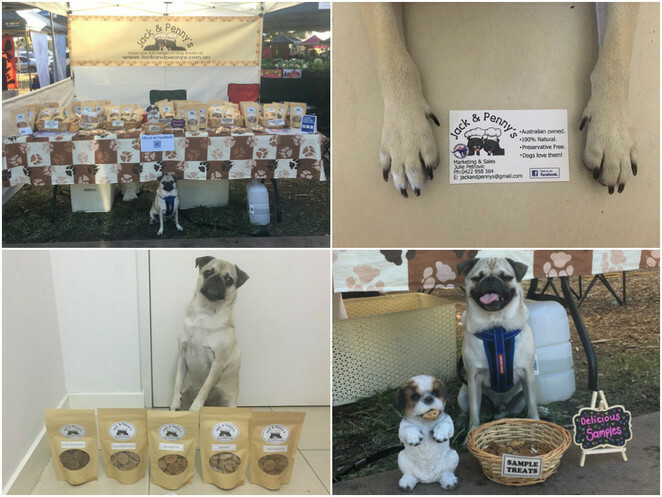 Big & Little Dogs - Big & Little Dogs is a fast-growing business who, despite having only launched in November 2016, already has a large number of stockists both nationally and even internationally! Big & Little Dogs' products range boasts an impressive number of products including collars, harnesses, leashes, and bowties, with products maximising not just style, but also comfort. They've even got fully reversible harnesses, giving customers two designs for the price of one - shop online now, or check out your nearest stockist today! Big & Little Dogs, owned by Emma. Big Dogs Do Matter - Big Dogs Do Matter is owned by Shazzy, an avid dog lover of all sizes - be prepared for your pooch to be given lots of love, affection, and cuddles if you take them along to the dog friendly markets that she attends! Big Dogs Do Matter sell a range of products designed to keep your furbabies warm and happy during the night, which contain no chemicals. Any size and depth can be made to order and ready to go in a week - irder two or more mats to get a discount! Big Dogs Do Matter can be found at Carseldine Markets, Old Petrie Town Markets and Mitchie Makers Markets. Big Dogs Do Matter, owned by Shazzy. Bobo's Pet Emporium - Tabatha, a veterinary nurse, has spent the last 18 plus years in the veterinary industry helping animals in the most dire of dire situations - and has even adopted a few pets throughout this journey. One of these rescue pets is Bobo the Alexandrine, after whom Tabatha's business was named! Bobo's Pet Emporium stocks only the safest products available, to ensure your pets health and mental well-being, while also keeping in mind to support fair trade and environmentally friendly products where possible. Cherry Pie's Delights - Cherry Pie's Delights was founded by Danielle, a vet who wanted to help pet owners overcome the barrier of allergies - for dogs with allergies, the large majority of commercial pet treats cannot be consumed safely. As such, all Cherry Pie's Delights treats are preservative free, and made only from natural ingredients, so there is no need to worry when it comes to your beloved pooch's safety. Choose from their range of yummy bone shaped biscuits, or perhaps opt for a carob covered cake for special occasions! Cherry Pie's Delights can be found at Carseldine Markets on Saturdays, and Nundah Markets on Sundays. Cherry Pie's Delights, owned by Danielle. 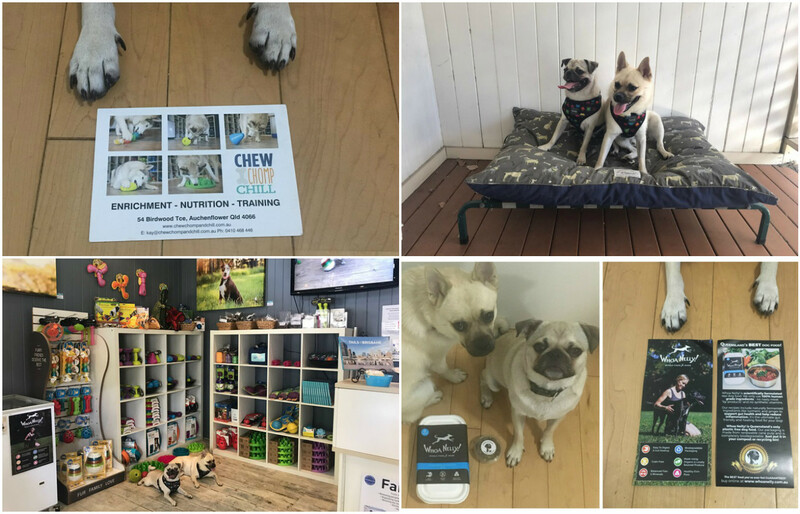 Chew Chomp and Chill - Kay, owner of Chew Chomp and Chill, believes it's not just what you feed your dog, but how you feed it - dogs in the wild don't have their food laid out in a bowl for them. When dogs no longer have to work for their food, there is plenty of time for your pet to practice boredom behaviours like chewing, barking, escaping and digging! And this is where enrichment toys come in... At Chew Chomp and Chill in Auchenflower, dogs can try out all the enrichment toys they desire, with treats as rewards should they be successful! There is a wide range to choose from, from puzzles to balls and everything in between - feel free try them all out, to find the one your pup likes best. Chew Chomp and Chill, owned by Kay. Dizzy Dog Collars - Founded by Nikki and Sue, Dizzy Dog Collars started when they realised just how hard it is to buy cute collars for Nikki's two dogs, without having to pay excessive postage fees from overseas. They started making their own collars for Diesel the Great Dane x Mastiff, and Cooper the Shih Tzu cross, and received so many compliments and queries about buying them, that Nikki and Sue decided to go one step further and turn their products, handmade with love, into a business! 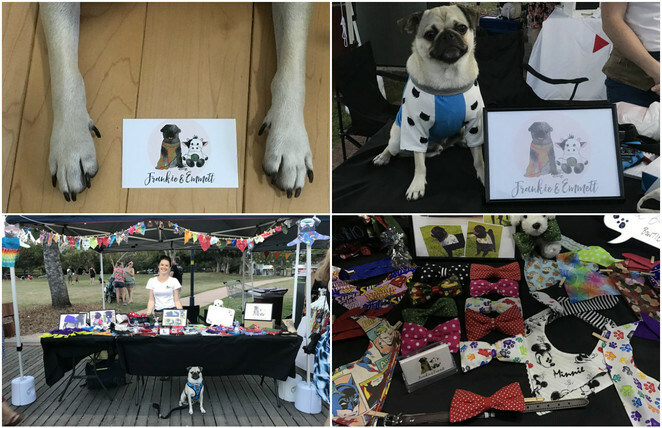 Purchase their products online (free shipping for all collars, seat belts, bowties & bandanas), or check them out at Milton Markets on Sundays. 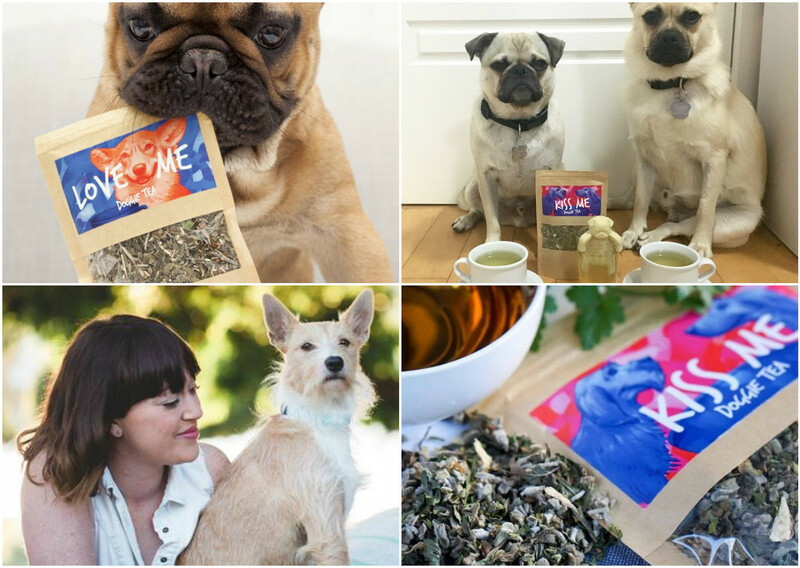 Doggie Tea - Jenna, founder of Doggie Tea, worked at a natural therapies college with renowned naturopaths, nutritionists and herbalists - it was here she found an "undeniable love" for herbal tea. Jenna works with the philosophy that "happy dogs = happy owners", and so the 'Kiss Me Doggie Tea' and 'Love Me Doggie Tea' were born. Making Doggie Tea is as simple as brewing a cup of tea for yourself; the only different is that it's served chilled, not hot - with so many health benefits packed in, what are you waiting for? Shop online now ($2 flat rate shipping Australia wide), or check out one of their many stockists! Doggie Tea, owned by Jenna. Frankie & Emmett - Established in 2016, Frankie & Emmett already have lots of happy customers - they are definitely on the road to much bigger successes. Frankie & Emmett have in stock an extensive line of handmade pet clothes, including bowties, bandanas, gowns and dresses, t-shirts, and hoodies. Frankie & Emmett accept customised orders to ensure that your "pooch is snug as a bug" - if you're after a particular colour, size, length or design, please contact Sam of Frankie & Emmett directly. Shop online on Etsy, or follow them on Facebook and Instagram to check out which markets they'll be attending near you. Frankie and Emmett, owned by Sam. Furrtrition Pet Products - Owners Lynn and Jeff (affectionately known by many as "The Furry Dogparents") started Furrtrition with the aim of helping as many furbabies as possible. Furrtrition has a wide range of homemade baked biscuits made using a range of ingredients with health benefits (for example, using banana for potassium) - no preservatives are added. 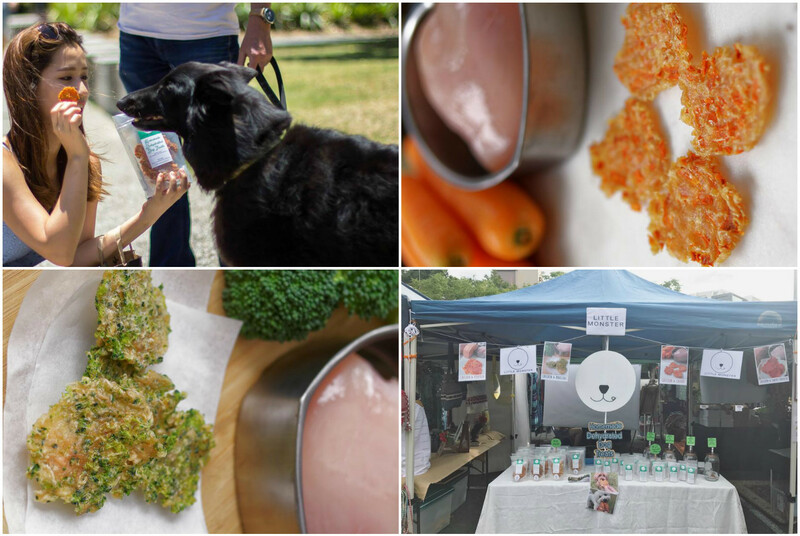 Furrtrition has also established their own line of organic health products. They can be found at many dog friendly markets in the Brisbane and Gold Coast area; follow them on Facebook to find your closest one! Furrtrition, owned by Lynn and Jeff. 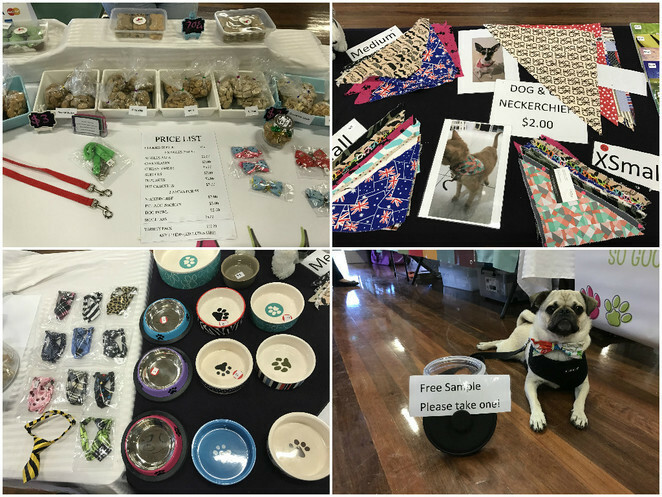 Handmade Pet Accessories - Pat from Handmade Pet Accessories is a very talented lady who crafts all her products by hand as part of a one-woman business. All prices are extremely reasonable, especially given the effort and time that Pat has no doubt put into each piece. They're much cheaper than their pet store counterpart! Plus, Pat accepts customisable orders; if you can describe it, she can make it. Her collection of fabrics is so large that it'd be impossible to put every single piece up online, so feel free to message her with what you're after - chances are, she'll have it! Handmade Pet Accessories, owned by Pat. 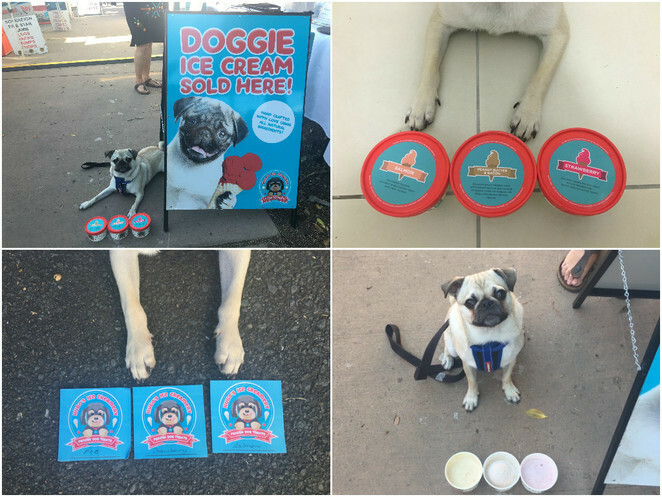 Hugo's Ice Creamery - Hugo's Ice Creamery is a small Gold Coast based company "created by dog lovers, for dog lovers" - they offer a range of single serve ice creams that specifically cater for dogs, so that your dog doesn't miss out on enjoying ice cream, arguably one of life's greatest pleasures. In addition to being delicious and the perfect special treat for the spoilt pooch, ice cream on a hot summer day also helps keep them cool. Hugo's Ice Creamery has three delicious flavours available, all made using coconut milk; peanut butter & bacon, strawberry, and salmon. For a list of stockists (there are heaps! ), click here. Jack & Penny's - Founded by a husband and wife team as a run-from-home business, Kim and Julie from Jack & Penny's guarantee that your pooches will love their homemade treats (and if they don't, Kim and Julie will "cheerfully" refund your money - but I highly doubt this will ever happen)! Treats, which can be baked gluten free if requested, can be bought at the fortnightly Manly Farmers Markets, through Jack & Penny's website, or over the phone (0422 958 364).Your treats are only baked once you place an order, meaning that they are guaranteed to be fresh! Jack & Penny's Dog Treats, owned by Julie and Kim. JJ's Cat & Dog Treats - Launched in 2015, JJ's CAT & DOG Treats are founded by owners who have "had enough" of pre-packaged treats from pet stores that are overpriced and perhaps not the healthiest for our beloved pets. Selling only homemade treats using only human-grade ingredients, JJ's began as a personal venture which was enjoyed to the point that the owners decided to turn it into a commercial business and sell at markets. And with treats that both look and taste good, why wouldn't they? Check them out at Narangba Northside Community Markets today! JJ's DOG & CAT Treats, owned by Jaylene. Jojo & Lola's Jerky Chompers - Jojo & Lola's Jerky Chompers started after owner Susan began making her own treats for her pooches (and their friends!) as an alternative to prepackaged treats. 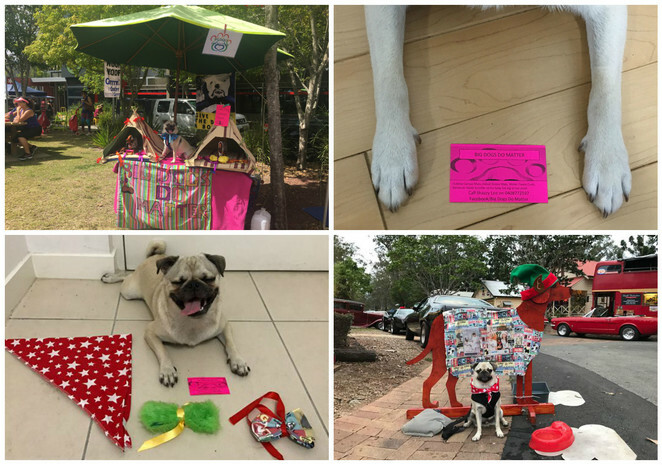 These homemade treats were so successful that Susan decided to open up her own business using her poochs' names, in May 2015 - and that's where their story begins. 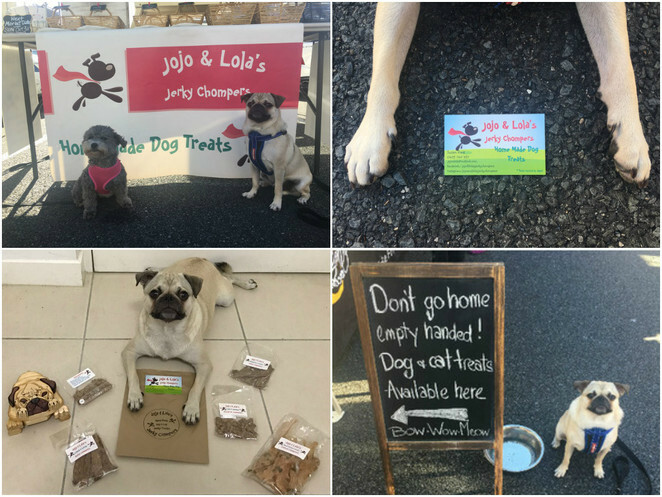 Although only a young business, Jojo & Lola's Jerky Chompers are constantly expanding their range and are adding new products on a regular basis. 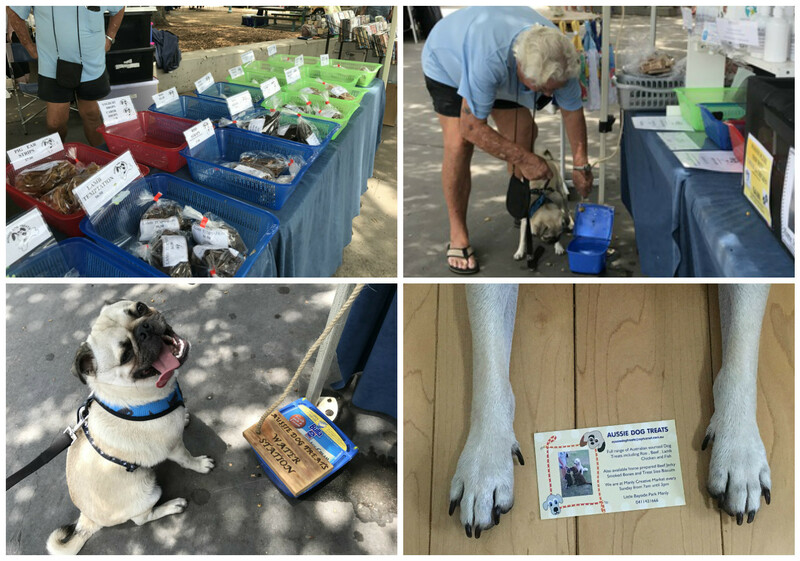 Shop online, or visit Susan and Lola in person at the dog friendly markets that they attend - Mitchie Makers Market, Carseldine Markets, and Nundah Markets. Jojo and Lola's Jerky Chompers, owned by Susan. 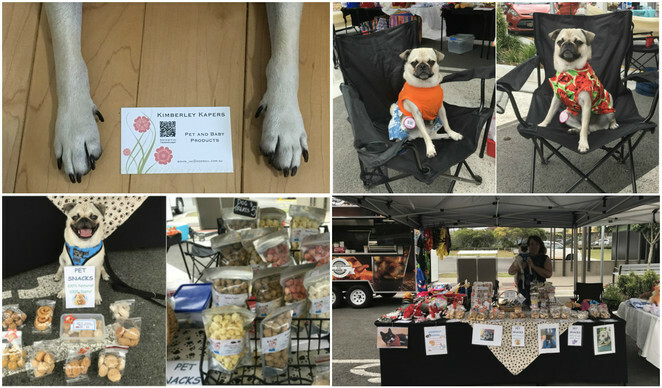 Kimberley Kapers - Owned by Linda, Kimberley Kapers has an impressive range of products, with two packed tables for the furbabies (one for treats and one for clothes), and one packed table for the human babies. Kimberley Kapers has an impressive collection of pet clothing items available for purchase, with heaps of unique choices - these aren't your average run-of-the-mill pet clothes! There are also heaps of homemade 100% natural dog treats to choose from. Linda is an extremely busy lady and is out and about at many of the markets in and around the Brisbane area - follow them on Facebook to find out which ones they're attending next. Kimberley Kapers, owned by Linda. L'Barkery - With "a natural passion for pets", L'Barkery is an online operated pet bakery with a wide range of innovative products formulated and developed by Lia, a pet nutritionist. 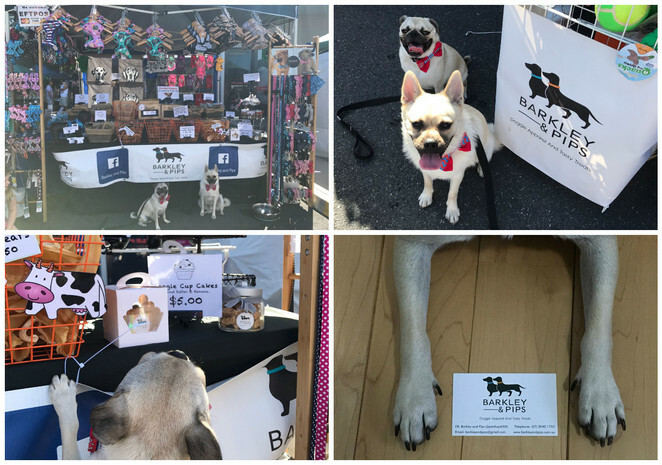 Before these products go out to the general public, Lia and Renee's two dogs, Lola and Blade, are in charge of taste testing and giving the products their stamp of approval - L'Barkery is a family-run business through and through, where even the furbabies have to get to work! Check out their website for unique doggie treats such as Puppicinos, Pupsicles, and even 'Paw Blonde' doggy beer! L'Barkery, owned by Lia and Renee. Little Monster Dog Treats - Owner Emily has a dream of working in Animal Health and Welfare with a professional education, and has started her university studies this year. However, last year when she was waiting for university to start, Emily began researching what nutrition is good for dogs, and was upset when she found out the many nasties that are found in commercial dog food - and so Little Monster Dog Treats was founded! Emily used to attend Milton Markets on Sundays, but due to study commitments, will be taking a break for a while. However, good news - treats can be purchased online! Little Monster Dog Treats, owned by Emily. 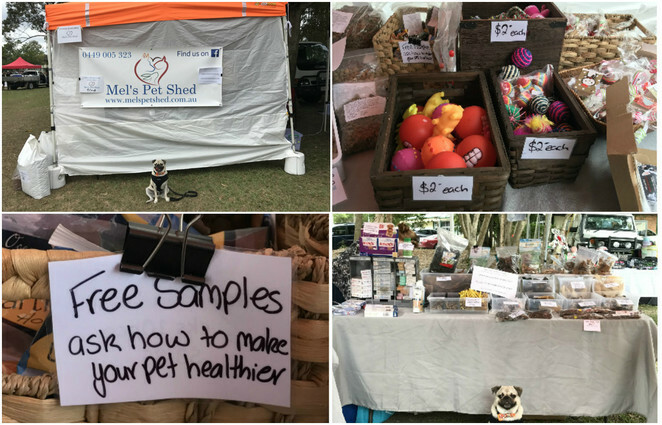 Mel's Pet Shed - Mel's Pet Shed, founded by 'Mel'issa and her father Barry, is a newly established business that prides itself on running their service with only love for all animals, big and small. Mel's Pet Shed will happily source brands of dog/cat food that are not already in stock, with the philosophy that "if one person wants it heaps more do too" - please feel free to contact Mel directly to ask what can be sourced, and for what price. Visit them at Burpengary Market today! Mel's Pet Shed, owned by Mel and Barry. For Part 2 (N to Z), click here. Why? 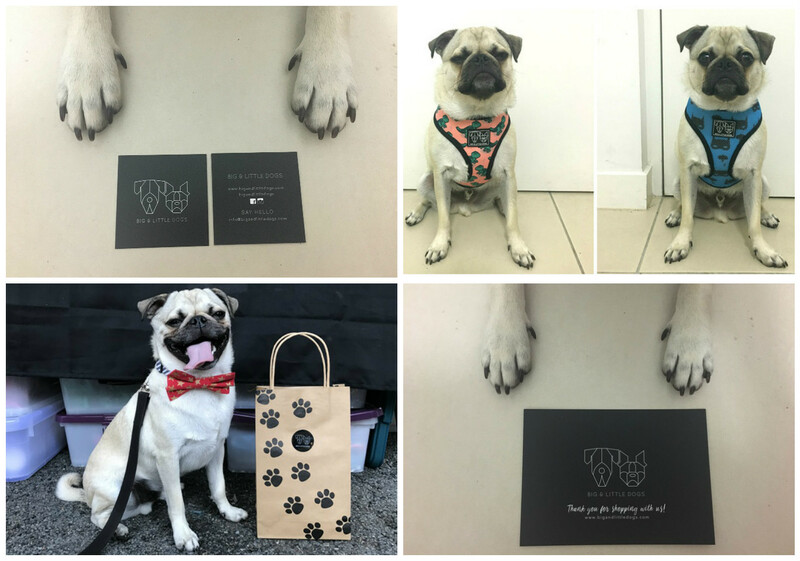 Because your pooch deserves the best - plus, you'll be supporting small local businesses!